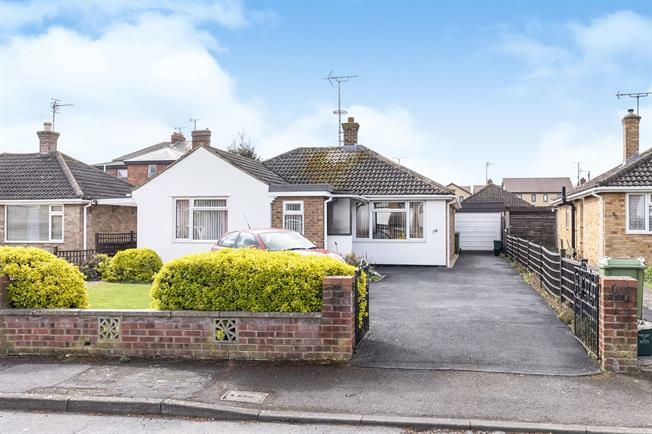 3 Bedroom Detached Bungalow For Sale in Cheltenham for Offers Over £380,000. This immaculate detached bungalow comprises entrance hall with storage cupboard, sitting/dining room, kitchen/breakfast room, conservatory with plumbing for washing machine, bedroom three/study, separate WC, family bathroom and two further double bedrooms, one of which has built in storage. The property further benefits from gas central heating, double glazing, garage, driveway parking for several vehicles, external lighting all round and secure rear garden. Range of base and eye level units, space for oven, fridge and freezer.